Alzheimer’s is, above all, an insidious disease. Its symptoms begin so mildly and progress so slowly that it’s easy for friends and loved ones to deny them until one day there’s a ‘defining incident;’ an incident so bizarre that not even the spouse, child or other loved one can ignore it or explain it away. Various ‘defining incidents’ have been recounted by loved ones. Some people get lost driving home and end up bewildered and many miles away. Some leave the house in their pajamas and some fail to recognize a close friend or family member. These are just a few of hundreds of examples. Yet the disease starts with things of little or no significance. Not being able to come up with a common word. Mixing up someone’s name. Forgetting to turn off the stove. Things we all do from time to time. But for the person just entering the fringes of early Alzheimer’s they may begin to happen more and more often. Years may pass between the earliest occasional confusion and the inevitable ‘defining incident.’ And during those years, the person may annoy or even anger friends and family members by being late, forgetting important appointments, being short-tempered, being unable to perform their routine chores, and a whole variety of other troublesome behaviors. It was obvious to me that my mate, Ed, was worried about possibly having Alzheimer’s. He used two coping mechanism to deal with those fears: alcohol and humor. He began drinking prodigious amounts of vodka, beginning before noon and continuing until after midnight, and he ended every medical visit by pronouncing loudly, “At least it isn’t Alzheimer’s!” Then he laughed heartily. My denial of Ed’s symptoms was particularly strong. I worked hard to come up with explanations for each of his symptoms. When he repeatedly confused the name of his bank with the name of the grocery store I thought it was just a normal sign of aging. When he couldn’t pay his bills properly I thought he’d just had too much to drink that evening. When he completely forgot a phone conversation we’d just had, I honestly couldn’t come up with a logical excuse so I just pushed it to the back of my mind and soon forgot about it. There were many such events that I ignored over a period of years. Then when his symptoms became more severe, I still made excuses for him. When he got lost driving to the corner gas station, I thought he was just temporarily confused. Even when he was found driving on the wrong side of the road one night I decided it only happened because he was driving at night – something his doctor said he shouldn’t do because of his failing eyesight. My heart started beating faster and my hands were shaking as I kept trying to jog his memory but nothing worked. Considering this and all the other signs of dementia he’d been exhibiting, I finally had to face the cold, hard truth: Ed was demented. And my heart broke as I realized it. There are few, if any, things in life more painful and chilling than realizing your mate has Alzheimer’s. But people noticing consistent signs of confusion and forgetfulness in a loved one should not wait for the ‘defining incident.’ One early action to take is to review the Alzheimer’s Association 10 signs of dementia (below) and ask yourself whether the person is exhibiting any of them. The Alzheimer’s Association web site has additional information about each of these items and distinguishes them from things ‘normal people’ do from time to time. It’s easy to ignore these signs or fail to connect the dots, but when a loved one is showing them it’s essential to dig down deep into your soul and find the emotional strength to get a medical evaluation as soon as possible. Early detection gives you and the patient time to prepare for the future and allows for appropriate medication to be prescribed. It also helps you and your friends and family members adjust to the person’s condition, rather than become angry at their unusual actions and possible negative personality changes. It will allow everyone to be more understanding and compassionate with the person. Another denial issue that often arises is that long after the primary caregiver has painfully accepted the heartbreaking diagnosis, denial can continue in the minds of friends or family members, especially those who live out of town and only see the person for short, infrequent visits. These people don’t have the opportunity to witness the severity and frequency of demented behaviors you are dealing with every day. And people with dementia, especially those in the early stages of the disease, can have an uncanny way of hiding their more pronounced symptoms when people other than the primary caregiver are around. It’s important for out-of-towners to talk to the primary caregiver and pay serious attention to what they say, regardless of whether or not they themselves witness the same behaviors. No one wants to be evaluated, or have a loved one evaluated, for possible Alzheimer’s disease, but sometimes it has to be done – and the sooner the better. 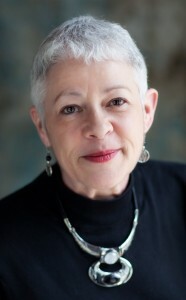 Author of a book on her own caregiving experiences, Marie Marley is a medical grant writer who, over the years, acquired a keen understanding of many geriatric topics, including dementia. But none of that could have prepared her for the sometimes heartbreaking demands of loving and caring for a person with Alzheimer’s. She tells her story in Come Back Early Today: A Memoir of Love, Alzheimer’s and Joy, where she describes her remarkable 30-year relationship with Edward Theodoru, PhD, a delightfully colorful yet wickedly eccentric Romanian gentleman - the love of her life. The book, a Santa Fe Writer’s Project Literary Awards finalist, also offers information, advice and hope for caregivers of people with Alzheimer’s. Marie is currently the Senior Manager for Grant Development at the American Academy of Family Physicians and lives in Olathe, KS with her two Shi Tzus, Peter and Joey.